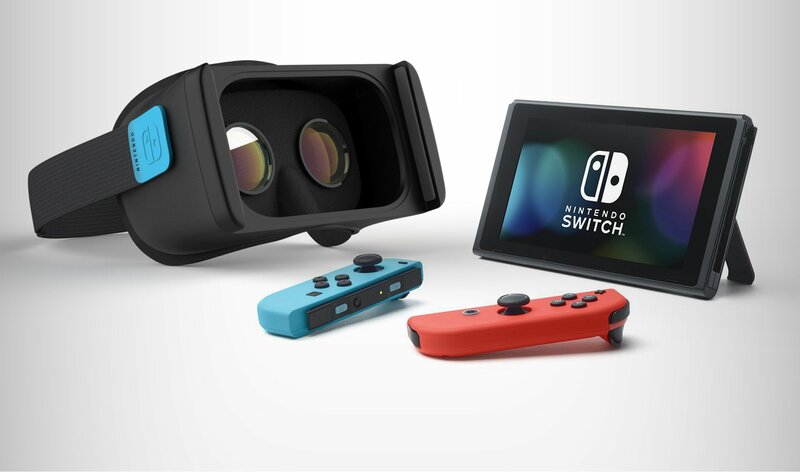 Though Nintendo is adamant that the Nintendo Switch is capable of supporting Virtual Reality (VR) content, it seems that the feature could be a little while off as the company considers its options for implementing the technology. Although a VR accessory featured in a rather detailed patent for the Switch, there's also a line of thought that the current console / tablet may be a little too big or heavy to effectively work within a head mounted unit. At this stage, of course, it's all opinions and speculation. 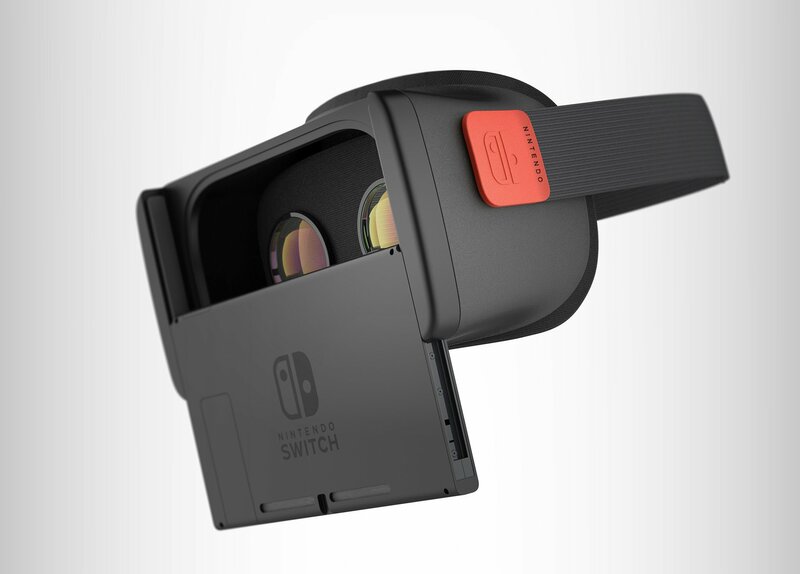 Nevertheless, the idea of Switch VR is rather appealing, and we've been pointed to some rather impressive mock-ups (thanks Fabian) for a prospective Switch VR unit. They're the work of Antoine Beynel, an Industrial Designer that lists CES and IF Design Awards on his LinkedIn page, among others. They certainly look professional, and do a nice job of incorporating the Switch hardware style into a VR unit. 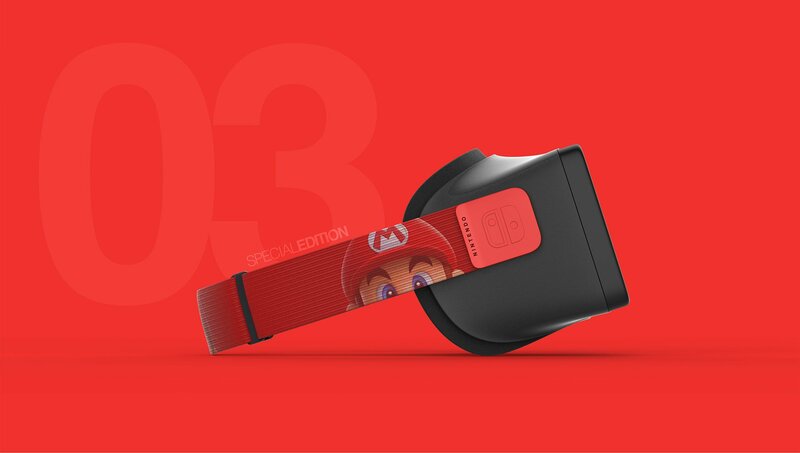 Is this the sort of design you'd like to see in a future Nintendo VR accessory? Let us know down in the comments. Love it! Mario Kart VR bring it! The day Nintendo does VR for real is the day I gag. Breath of the Wild in VR seems like it would be amazing. Looks great, but doesn't address the issues. The lack of processing power required for VR could be addressed with an external processing unit, but the screen resolution would be the killer. a single 720 screen would not make for a good experience. I'd love to see it, but I just don't think it's going to be possible. I'll be honest - it looks really cool. They did a great mock-up. But I just don't know if I'd invest in a VR unit. I also don't think Switch has the processing power to pull it off. I wonder how many people in this comment section have tried VR. VR on a 720p screen would be absolutely horrid. "Star Fox Zero VR" fully played from the cockpit view. Do it. Those mockups looks absolutely amazing. 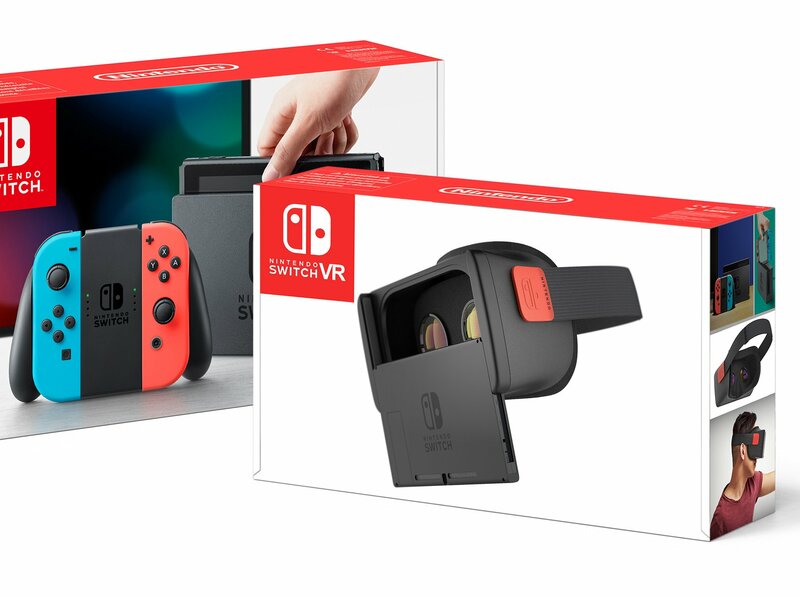 I could easily use those pictures to trick a less knowledgeable gamer into believing that the Switch has a VR accessory. @Thegentleman Just slap some transparent red paint over those lenses and you're good to go! Give me this and a new Metroid Prime game designed around it. It's very convincing, isn't it? i would be onboard. i was really excited about PSVR but as time went by it became apparent that the games were not the "full" games i was hoping for so i cancelled my pre order. i now have very toned down expectations when it comes to vr. I've said this many times, but the Switch as a concept works perfectly for VR. In practice I can't imagine playing VR on a 720p screen unfortunately. Maybe for a future iteration of the Switch though. @daveh30 So long as the headset were cheap, though, it could still be fun. I'm talking $30 or so. I'd buy it. I probably wouldn't use it terribly often, but from time to time. Of all the, you've only gone and forgot to add the pre-order links this article. Nintendo said SWITCH can do VR - but they must make it comfortable to bring to market. . . Some very sleek and impressive designs. And colourful too. Perfect! The red and blue parts on either side keeps changing sides! I must be the only person in the world who could care less about VR!! I don't want to strap any d**n goggles to my face just to play a game!!! I've actually done a VR experience in 720p, and it was surprisingly immersive. It's not necessarily the resolution, just the quality it is developed. After recently using VR for an extended period of time, the concept is awesome for the right application. And there is a future for it somewhere for sure, but if it makes me sick like most games currently makes many people sick, no way. I am not going to pay to puke. Stationary games are really fun like Super Hot or Dead and Buried or even some of the demos. But games that move, absolutely no thank you! I am sure they will fix it in future, but Nintendo can keep VR on the shelf for right now..
the switch VR looks nice, but i am not interested. i got tired of the VR stuff back in the 1990's. let Microsoft and Sony fight over the stupid VR gimmick and market. Nintendo needs to keep being the best video game hardware/software companies ever. No thanks. The Switch isn't powerful enough anyway to do VR properly. The hardware isn't powerful enough and the screen is too low resolution. @Ethan_Bricknell on a single 720p screen? Half per eye? 720p per eye would be totally acceptable. This looks really nice! I love the red and blue sides of the headset, that's a nifty little touch. I'm still yet to try VR. It intrigues me but it's so damn expensive! The VR unit could easily have supplemental hardware. I only see Nintendo making smaller yet addictive titles that have basic visuals coupled with fun controls. A recipe for short burst gaming. I'm in if priced reasonably. I'm looking forward to Nintendo's implementation of Switch VR, as the HD rumble sounds like it would be Perfect for VR. Holding the controller in front of your face, no matter how impressive the HD Rumble is, it'll still be clear that you're holding a controller. But with the added level of deception of a VR world in front of your eyes will make it just that extra level of convincing. Yes, this wouldn't be like PS4 or PC VR with Oculus or Vive. But that matters very little when it could be a $40 add-on. $340 and you are using VR. Compare that to $850 for PS4 or $1300 or so for PC. I wouldn't be as good, but it would be tailored for fun and much, much more attainable for people. My guess is that it would need a slightly more expensive add-on ($50-&60) that could augment the head-tracking (while being connected directly to the Switch for latency free response). That along with games that aren't trying to push the hardware too hard could be fun and give that feeling of "presence" even without the higher resolution. At least that's my educated guess. There are benefits here like no cables that many seem to ignore. BTW, that mock-up has all the weight pressed up against the face and back of the head which is very uncomfortable. Better to go with a PS4-like design where the weight is transferred to the top of the head like a hat. The Switch itself is absolutely perfect for mass market lower-end VR experiences (think Google Cardboard or Samsung Gear VR), but that screen resolution is a killer. The Switch's joycons are perfect for VR. I could see them being hacked for use in PC VR in the future. @daveh30 : If Switch VR is going to be more or less the same as the above mock-up, then the resolution would effectively be 640x720 per eye. As a frame of comparison, the PSVR resolution is 960x1080 per eye. That's more than double the resolution of the Switch; and considering that the footage is tethered to the user's face, that's a pretty massive difference. The picture quality of PSVR is already really soft as it is. 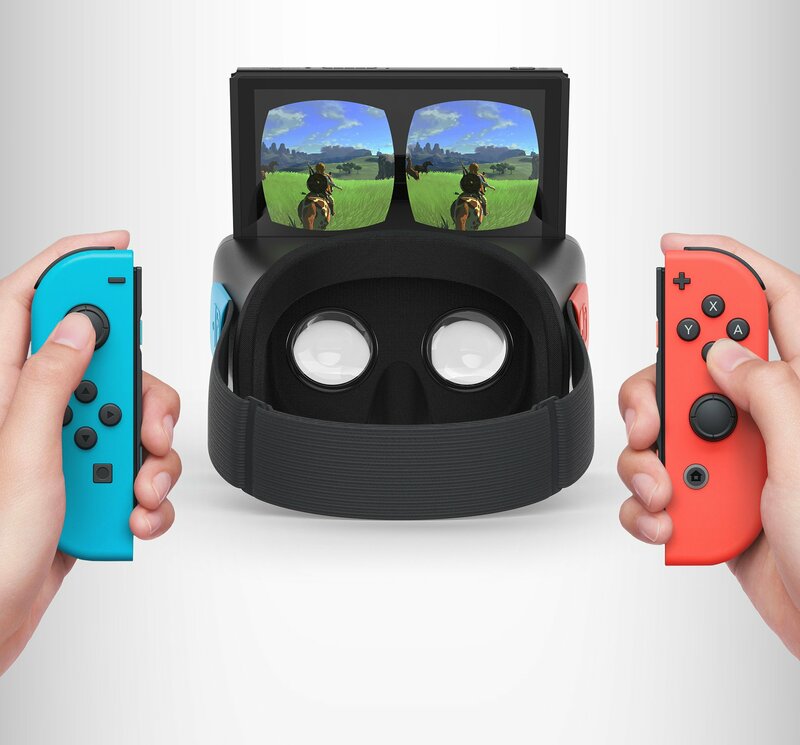 If Nintendo decide to support VR, I hope that they have something better in mind than strap-on goggles for the existing Switch display. VR is stupid. It's not the future of gaming. it would be like ifa TV came out that only used voice commands and no remote. Playing VR is fun for 30minutes and then what? Glad Nintendo said the Switch is VR "capable" but is in no way planning to do something about it. VR failed before it even came out but the companies tried anyway. Imagine: Each slice of bread, a Nintendo Switch. Your head, the main course. YOU are now the Nintendo Sandwitch. Truly, this is an innovation worth strapping onto your face. Bon appetit. Just don't place your head in the toaster, too. If smartphones can do vr then the switch could fair pretty decently I believe. That mockup is cool. Looks professional. Given the limited resolution screen and lack of hardware power, though, I think Nintendo is best not pursuing VR. Being able to play your games anywhere comfortably seems to be the big concept of the Switch, and it's one I'm really excited about. It risks becoming a "kitchen sink" system if Nintendo tries to do too many things with it, however. I'm already unsure about the way they seem to be stuffing the joycons with all sorts of expensive tech. Wonderful mock-up. I hope the VR technology Nintendo is rumored to be working on comes to fruition. @Louie06 I could care less, but I don't care less. Also sacrifices must be made for a heightened level of immersion. Some people just simply want to play a game, others want more than that. First things first if the Switch is capable of VR then it won't be any sort of competition for PSVR/Rift/Vine and more along the lines of mobile due to raw power mainly. This image above isn't going to be the way to do it either, obviously this would be the cheapest way but there is a problem and that is weight. Having used the Galaxy VR it gets quite uncomfortable after a short period of time owing to its centre of gravity been very far forward in front of your face. The Switch weighs more than twice as much at over 300g as your average large phone and that is quite a significant weight to have strapped in front of your head. Unless they can come up with some kind of clever headgear to get around this problem. This is pretty much exactly what they need to make. Should be able to retail for £30 if there are gyros in the switch tablet itself, or if not, around £60. It would be so much cheaper than PSVR and a licence to print money. Only improvement I'd make (having tried many similar headsets) is a third strap going from the front center to the back, so that the weight is more evenly distributed and you don't get load of persistence your nose. Just this one little strap makes a HUGE difference in practice. Either that or a shape more similar to PSVR that goes to higher up on your head. I keep saying this but for everyone who thinks the 720p screen split in half is not enough for VR, buy a cardboard compatible headset (you can get them in pound land or the dollar store! Or you can buy plastic ones that looks much like this design for just £20 approx!) and borrow a 720p budget Android phone or tablet from someone. It's surprisingly usable, honestly. I wouldn't have believed it till I tried it. But it only costs a quid to give it a go! @Mega_Yarn_Poochy Yup. Tried Alien Isolation on Oculus Rift at EGX, and that was AWFULLY blurry/pixellated. If it had been 720p it would have been unplayable. Nice work. Looks very realistic. The only problem is that the unit is seen sliding in from the bottom up, but all the connectors are on the bottom of the console so that wouldn't work. Plus, the risk of the console slipping out and hitting the deck would make me very nervous. I do think that those who mentioned screen resolution might be on the money. Wow I never thought of this!! It makes perfect sense!! It's not powerful enough for VR. The games would have to run at like 720p,30fps, which wouldn't be comfortable at all. The home market isn't ready for VR yet. There is a reason Microsoft are letting Oculus do all the heavy lifting and my local CeX is lined with PSVR trade ins. Until it's an invisible as the Wii Remote (i.e. Doesn't require a bloody display strapped to your face) then it won't take off. That said VR is the saviour the Arcade industry has been crying out for. I do hope that if a VR unit is released that it would have a similar red and black color scheme as the Virtual Boy. personally, I'd prefer it slots in from the top. If the clip fails, my Switch won't fall to the floor. The mock-ups might be "eye-catching" but the Switch's screen resolution and refresh rate that close to your eyes will be a true eye SORE. Forget it people! You can't strap the Switch to your face and Nintendo knows it. You need a minimum of 2K screen resolution on the size of Switch screen and reach 90 fps for a smooth and pleasant VR experience. The Switch 720p screen and lack of Processing power pretty much rules out any hope for VR on the Switch. Not going to happen. It's entirely possible. The result might just not be all that desirable, I'll absolutely give you that. 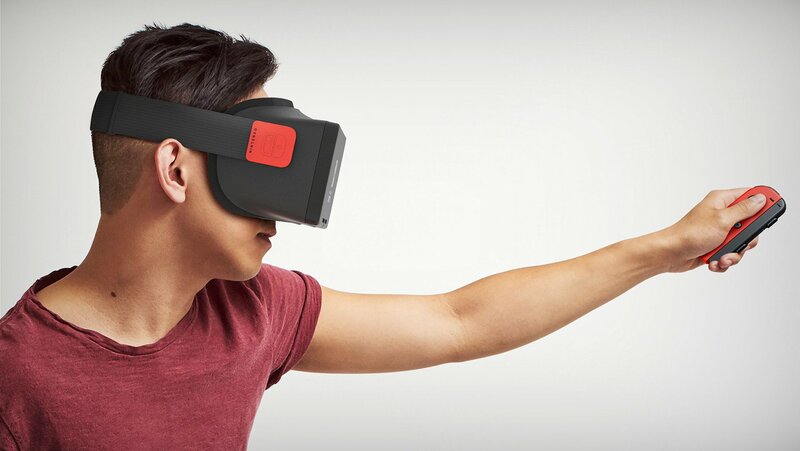 The original Rift development kit featured the same resolution as the Switch, and Google Cardboard has proven that VR experiences can be pulled off on devices considerably less powerful than Switch. Were these as good as Vive or even PSVR? Absolutely not, but they are still technically VR. The real issue and questionmark on this whole thing is whether the Switch console itself has gyro-sensors built in, and how fast the update on these are, if it has. If the gyro sensors are only in the JoyCons, none of this is possible. And if they're in the Switch unit itself, but the input latency is too high, it wouldn't ever feel good, which is considerably more important than fidelity issues like framerate and resolution. @Pod You already answered yourself. Since the Joy-Con's can be used as individual motion Controllers, then it doesn't take a rocket scientist to figure out where the gyro's are located. Quite many games are already reported to be fully playable only with the touch screen, however, a feature that Nintendo has yet to even mention officially, let alone demonstrate. So if that feature is there to lure mobile developers into porting over their big successes to Switch, it'd make absolute sense for the core unit to also feature the by now standard set of gyroscopes and accelerometers that all phones and tablets have. We just don't know yet. I really hope this doesn't happen. PlayStation VR will die much like the Kinect did. Having just used the Oculus rift last week playing a demo of a conker/mario like 3D platformer, I really don't think VR will be successful in the game industry. It's really an immerse experience but it's not as fun as playing without VR. It is pretty dire if I am honest for gaming. Depends entirely on how graphically impressive any given game would be trying to look. A rather slim game might even render internally at at 1080p or higher, with bicubic sharpened down-res to 720p. The subsequent picture would probably be rather acceptable. A real issue would be the other thing you mention, the framerate, where 60 seems too low for most people to feel comfortable in VR, and we don't know whether the Switch screen goes any higher than that. We also don't know at all about the gyroscope input latency on the Switch/JoyCon. Might be entirely out of the range required for VR to feel responsive. @daveh30 If you want a good experience, you need to pay $500+ for an accessory + sensors. VR is not good for the normal buyer with those prices; I, for one, wouldn't pay that much for a headset. It's not such a bad resolution either (not the best, but could be worse) and the hardware power should be more than enough. VR doesn't require any specific power; it's just rendering two images for each eye, similar to the 3D for the 3DS. @Jeronan It's already known that the Switch console and every controller has a gyroscope and an accelerometer in it. @Jeronan @Parkour_LMan @Pod Unless Nintendo is including sensors in the Switch itself to be ready for stuff like VR,it wouldn't make a lot of sense to have them. Most of the time when you are going to use the Switch without a TV you would attach the Joy Cons anyway. @Parkour_LMan Where has that been mentioned? If every Joy-Con has a gyro and accelerometer, than why would Nintendo put those in the console itself too? Seeing how they have been trying to squeeze every penny wherever they could to keep the cost as low as possible. There has not been any showcase or demonstration where you could play with the console itself only without any Joy-Con's attached. So when you take the console With you and play in portable mode you will have the Joy-Con's either Attached anyway or you put the console in kick-stand mode and play With the Joy-Cons. Including another gyro and accelerometer in the console itself would be overkill and increase manufacturing costs unecessarily. It's just a fantasy hope for People wanting VR on the Switch, while it's already been obvious Nintendo has not shown any interest in VR at all. But the objective of having the capacitive multi-touch capable screen on there is what is puzzling me. If they just want the system to be easy to interact with while in tabletop mode, and both JoyCon are detached, then that makes sense. You could still select minigames in 1, 2, Switch and stuff like that, without needing to use the JoyCon as more traditional controllers. If what they want is for mobile devs to port over phone and tablet games to Switch, it's likely they would also have included gyro in the console itself. But I'm not really counting on that being the case. For someone trying to "squeeze every penny" as you put it, the full Switch box already includes quite many things you wouldn't expect. Two full sets of motion control chips, AND two full sets of HD rumble motors. No less that three lithium ion batteries, a 10-touch capable screen, an advanced infrared camera, and several input/ouput ports that even Apple are saving on, like a minijack port and an SDmicro bay. The choice of whether the system itself should have gyro capability built in might not be where they decided to opt out, based on price. There are many other things they seem to have deliberately done away with, like cameras, 3D screen, speakers on the controllers, a mic on the system. And I'd like to reiterate that if they want developers to port over popular phone and tablet games, the gyros in the system itself would seem crucial. In any case, if they REALLY wanted to do VR (which I don't think they do) and there REALLY isn't any motion sensors in the Switch unit itself, a headset that incorporated one of the JoyCon wouldn't be the most ridiculous thing I could imagine. @Mega_Yarn_Poochy They don't care as long as it hits all the buzz words of the year. Looks really good to be honest. Like many have said before I think the screen would be the biggest issue for something like this. If the do VR I'm pretty sure it will be with a built in screen, similar to PS VR or Oculus/Vive. If the image was rendered at 720, you're right. An image rendered at 1440p or 2880p, and displayed on 720 could look acceptable if scaled down with traditional bicubic sharpening. I'm not suggesting the Switch can actually pull that off at 60+ frames per second though. While the resolution might be less than ideal, it isn't a crucial problem that would prevent it from happening, unlike several other problems mentioned in here. Some great design work there! That would be awful! Guys it looks terrible with a very powerful and very high resolution Galaxy S7 now imagine it with a lower resolution, it's going to be terrible, they cannot do this if they do it it'll be a laughingstock. @daveh30 have you tried a Galaxy S7 with the Samsung VR unit? It is absolutely terrible, and my eyes started hurting after about 20 minutes of playing around with it. At this low resolution it would be absolutely horrid. @stevenw45 That is such a telling comment--and it's really sad that you probably don't realise just how ignorant it was and is. can you please elaborate on what you mean by "telling comment" because there are about 4 different things by that. i agree Mario Kart VR may be nice, but in terms of Nintendo actually doing it may be slim since all i can picture in terms of Mario Kart VR is someone using those joy-con controllers like a steering wheel in the same way that Nintendo setup the Wii-Remotes and the Wii-wheel accessories. @The_Mysteron I don't think there would be any risk of it accidentally falling out, just as there is no real risk of the Switch console falling while holding the Switch by its Joy-cons. As for the resolution, everyone is assuming it has to be high resolution, which it would not. 720p for VR can work but just with the right games. With a Mario Kart style game or Splatoon it would be great, and the detail would be similar to 3DS quality. Granted this wouldn't be ideal for everything, but when programmed as an extra for some games it would be a cool concept and likely play well. Unfortunately the screen is HUGE for strapping on your face, and not nearly dense enough to work well. My 4.6" Z5 Compact is also 720p, and is pretty terrible when used with Google Cardboards, at least from a quality perspective...it's fun, but not as nice as just looking at a screen from not inches away. Awesome works! The joy-con already addresses VR control, so the missing part is screen resolution and power. This won't be realistic right now, but if Switch iteration is quick, i.e 2-3 years each with the same OS inside but improved display and specs (think like iOS device with yearly updates), it could happens. Generation separated console should be a thing of past already. Virtual Pokemon game would be great. Does the tablet have it's own motion sensing? I didn't think it did. 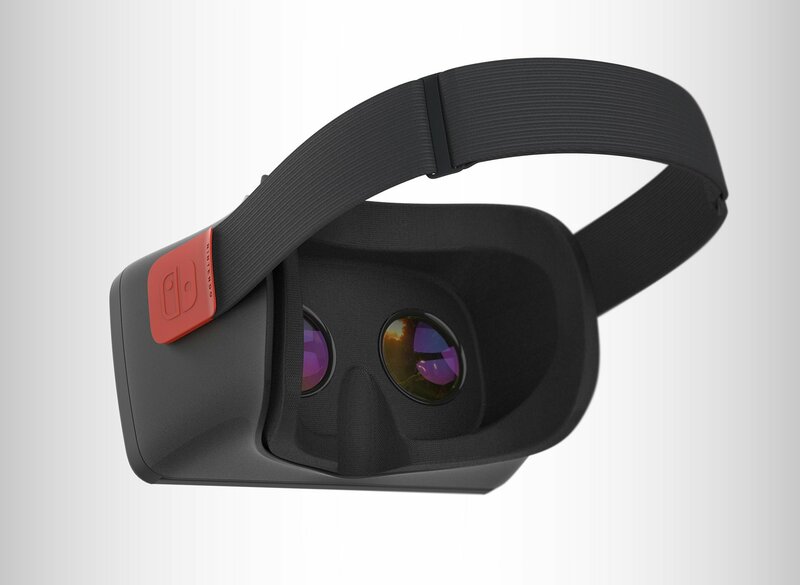 @Rect_Pola Not sure, but if it didn't it would be easy enough to add it into the VR headset itself. @stevenw45 "i got tired of the VR stuff back in the 1990's." i.e. "I haven't even used a modern VR headset and yet I've decided it's boring already—even though my own experience is so outdated and out of touch with the modern VR reality that it's not even funny." That's what I'm getting anyway. Your dismissal of modern VR based on playing the crappy VR of the 90s is just sad; current-gen VR isn't even in the same league as that old and clunky junk anymore. however, i may end up trying it out on the Nintendo switch (assuming it does) after i hear a bunch of great thing about it. 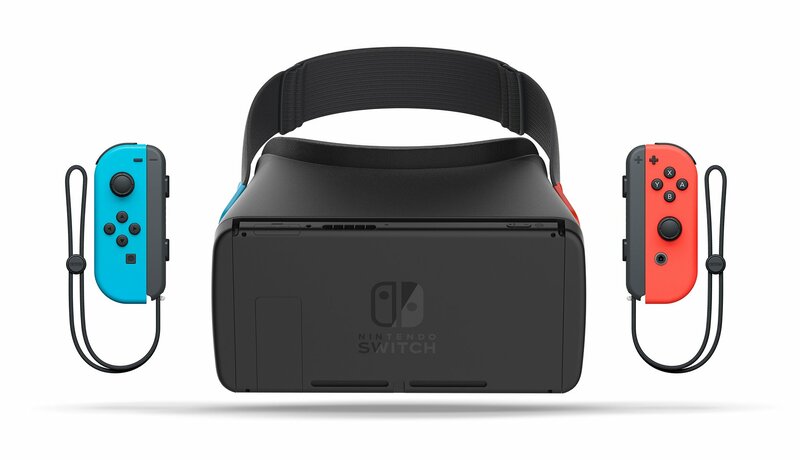 It would be so sneaky good if Nintendo debuted Switch VR this coming holiday season. I would be really excited for this if it had a game like Metroid Prime behind it. I don't mind a bit of pixilation if the actual game is excellent. The Switch heating up in such close proximity to your face might be a problem, though. It could fog up glasses and even injure people if it's not done just right. i think you may have misinterpreted what i said because of my choice of words. i never said that i was dismissing that damned technology because of my passed experiences with it. besides i was 7 when i first dealt with VR. and one of the reasons i got bored of it was because i am really good with technology and managed to make my own VR within days of experiencing the technology for the first time. however, you might be right about the possibility of me dismissing modern day VR technology, but not for the reasons that you think. even though i will be giving modern day VR technology a try i may end up skipping the phad. as it is technology seems to be going against us. with the start of the smartphone phad or whatever we should call it; it seems as though people have started to lose their social skills and those in the younger generation(s), it may be too late for them. afterall, don't you think it is a bad thing to see two or more people having conversations on their phones via sms without be aware of the fact that the person or persons that they are talking to are right next to them. i could go on but i think we should go back to talking about VR. I do mean what i said about how Nintendo should let Microsoft and Sony fight over VR. Nintendo may eventually take advantage of VR but they do not need it. i noticed that @Pazuzumas said that they would like to see Mario Kart VR. as interesting as that might be Nintendo will need more than just VR head sets to make it work. i wonder what addition accessories Nintendo will make for when/if Mario Kart VR is released. I have a feeling that Nintendo might bring Wii Sports Club to the Nintendo Switch and rename Wii Sports Club and start calling it Nintendo Sports Club. I think that Microsoft can make VR work with that. of course then they will most likely use the damned Wii remotes and Joy-Con controllers to make things as real as possible. at this point the Joy-Con controllers just seem to be an evolved form of the Wii Remotes, but i have a feeling that Nintendo is hiding information about them that will actually make them worth the price. and as it is even though the Joy-Con controllers can be improved a bit (just like everything else), it seems as though that they may give Nintendo a helping hand in VR. like me; i am sure you and many others see the possibilities of the switch and the future of VR in regards to the switch but we all are viewing VR in our own ways at this point. VR worked on the Virtual Boy monochrome red didn't it? 720p in full color not sounding so bad now! 1. Calling smartphones a "phad". That's just absurd on the face of it. That's like calling radio, TVs, books, PCs, and, yes, even videogames a "phad". Smartphones are just a variation of mobile phones, which have been around for generations at this point, and mobile phones are as ubiquitous and long-term as any technology out there. "Smartphones", in some form or another, are here to stay. 2. Calling VR a "phad". That's just a symptom of a certain level of ignorance about where VR is at in 2017—it's already extremely impressive and compelling (as anyone who's actually used a proper high-end VR headset will tell you)—and shortsightedness in terms of where it's going in the future. Just like radio, TV, movies, phones, PCs, etc, VR is another consumer entertainment platform that is here to stay for the long term. It's in its rebirth-infancy now but in ten or twenty years time it will almost certainly be as ubiquitous as the likes of current home videogame consoles. Consider that Xbox One, PS4, and Wii U have sold less than 100 million units to date worldwide; it's not even hard to imagine a future where VR is that popular too, and actually far beyond that level of adoption. Also, the word is "fad". And, sure, it's sad when people communicate via messaging even when they're sitting right next to each other. I saw a young couple doing this in McDonald's the other day and I was like "WTF?". But that doesn't mean there's nothing genuinely compelling, exciting, and brilliant about what VR can and will bring to gaming and entertainment. We could argue about the virtues of books, TV, radio, movies, videogames similarly, both the good and the bad; but when used responsibly these things can bring joy and entertainment to people's lives in a way that is additive rather than subtractive. And I see no reason VR can't and won't do the same for the most part, despite the dystopian movie-vision of everyone on the planet being plugged into VR all the time and being totally detached from any real humanity—I don't think most normal and healthy people have to worry too much about that. (1) pointing out the spelling of the word "fad" would have been enough in term of your comment, but "phad" and "fad" actually mean two separate things, but are actually synonyms. but i don't think it matters anymore. (2) calling smartphones a fad is not absurd, but things have changed in the last 10+ years. and i should probably stop using the word "fad" because we both realize that their are synonyms for it that would be better for what i want to say. and darn that one child for introducing me to that word. and i know how it sounds in terms of me blaming a child for me using the word "fad", however, (to quote a friend of mine); "you can never put the Jeanie back in the bottle". (3)in terms of VR, neither of us actually know where it is really going and where it may end up. (4)and if this is unfortunately turning into an argument, my apologies. @daveh30 What issuse? Nin stated the only issuse they want to solve is the motion sickness. So with that said it should put the fear you have to rest because Nin would have stated more issuse. So that just proves VR will look good with whatever they have under the hood of the Switch. @CGSasuke yes... and VR at too low a resolution is one of the factors that causes motion sickness in low quality VR (low or choppy framerate, and any lag in head tracking being the other big ones) For comparison, one of the biggest knocks on PSVR is the low resolution. It has a resolution more than double of that of the switch. The resolution of the switch certainly doesn't make VR impossible, but it make any sort of comfort highly improbable. @stevenw45 In response to point 3: No, you presumably don't know where VR is going, based on what you just said, and you seem to assume I have no clue of where it's going similarly, which is plain wrong. Sure, I can't tell you what a VR headset will specifically look like in ten years, or how much it will cost, or what type of screen it will use, or who specifically will be selling the headsets, or what games will be on those headsets . . . I can, however, tell you for a fact (barring some extremely unlikely worldwide catastrophe that drastically changes the future or something like that) that VR will still be around in ten years time, and that a whole lot of people will be playing games and enjoying other entertainment on VR headsets, and it will have positively advanced in every conceivable way from where we are today. Now, you may or may not live in a world where nothing can be reliably and reasonably-accurately predicted until it's already happened—that would be a pretty sad and limited world to live in imo—I don't live in such a world. So don't box in my perception of how causality, predictability, and the Universe works with, presumably, your own. I'm just telling you that your current ignorance of VR and where it's at, as well as where it's basically inevitably going, is leading you to greatly under-appreciate and unfairly dismiss the technology. And it's sad, because VR is going to be the next great gaming and entertainment platform, in much the same way that consoles, PCs, and smartphones have already become—irrespective of the precise sales numbers and stats or whatever—and gaming on it is going to be truly magical. I only wish you could see that—you'd have an idea if you'd a few of the best VR games/experiences on one of the top-end currently available VR headsets—because VR is something that you really should actually be genuinely excited about as a gamer as far as I'm concerned (as should basically every gamer imo). But you will understand one day. . . .
why are you turning my generalization into an assumption? and as you do realize, i have no knowledge of what you and everyone else knows about VR. of course then, i never really asked. and unfortunately, you are have made assumptions about me that are not true. and it seems as though your response actually in a way goes along with what i meant with what i said about we do not really know where VR is heading in terms of pricing, what the VR headsets will look like, what type of screen it will use, and other details. and i have not been given a chance to understand your perception of VR. so, if you would like to explain in more detail of what your perception of what the future of VR will be, please go ahead and do so.